Most of the work will be completed outside of North I-25, but nighttime lane closures will be required. In addition, the southbound off-ramp and on-ramp to SH402 will be closed in mid-October. For additional details and detour information, please read the CDOT press release. In summer 2019, SH402 between the North I-25 ramps will be closed for 120 days while the SH402 bridge over North I-25 is constructed. More details on this closure will be available in the spring. 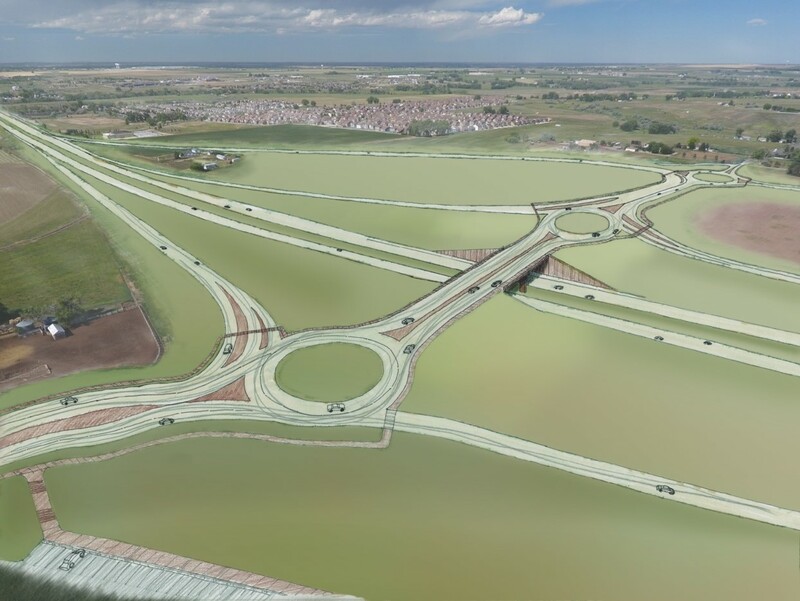 This work is part of the North I-25 Express Lanes: Johnstown to Fort Collins project, which will construct an Express lane in each direction from SH402 to SH14, among other improvements. View the CDOT project page for more information on the project. So our tax dollars are being spent to build more roundabouts, a toll lane so we can continue paying for the work we are paying for..hopefully they are over building/ leaving room for feature expansion. So when it's opened and it's still a traffic nightmare they can close it again to add another lane. I learned in Massachusetts/Maine to ABSOLUTELY HATE roundabouts. They were plentiful there from little towns to ones connecting major highways. AWFUL IDEA! I did not realize that this intersection was more critical on I25. They are tearing up the fancy interchange they they just built north of Loveland. The resources used on this interchange could have been used to widen I25 for many miles.